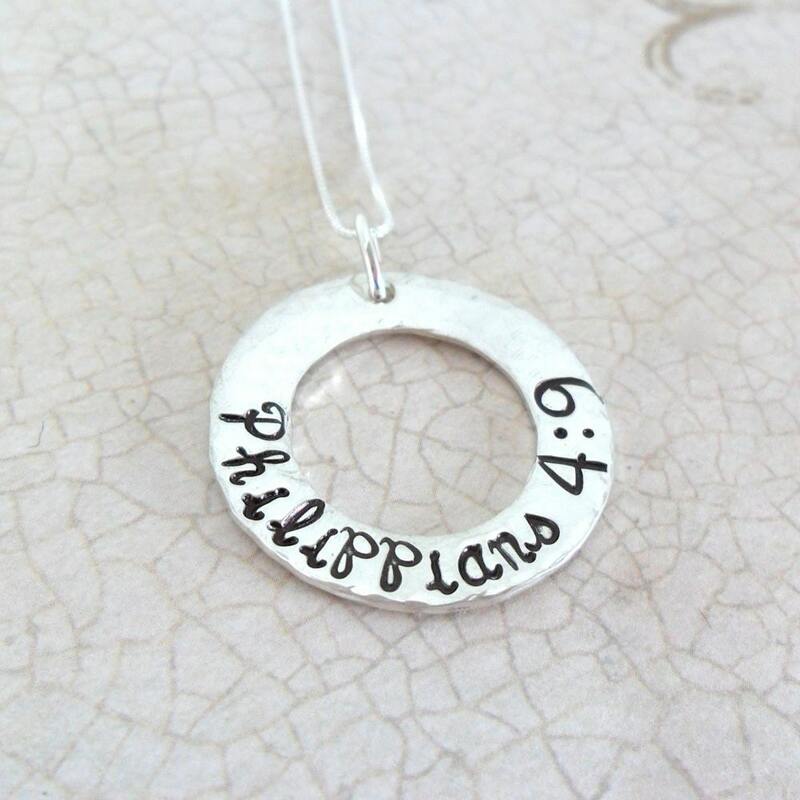 A thick, 18 gauge, sterling silver washer will be hand stamped in my Modern Script font with the biblical verse of your choice. The text will be oxidized for depth and contrast of the characters and given a high shine, hammered finish. 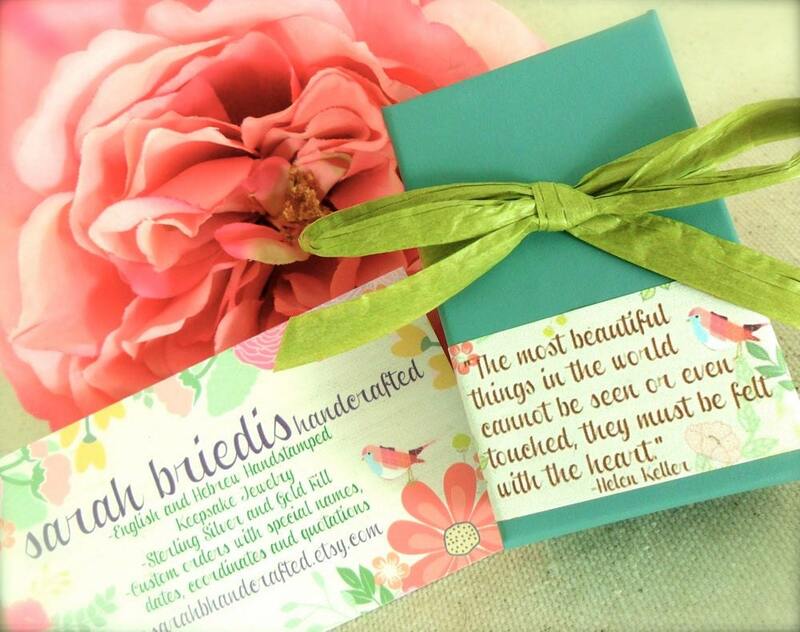 Necklace will arrive with your choice of a 16", 18" or 20" sterling silver box chain. 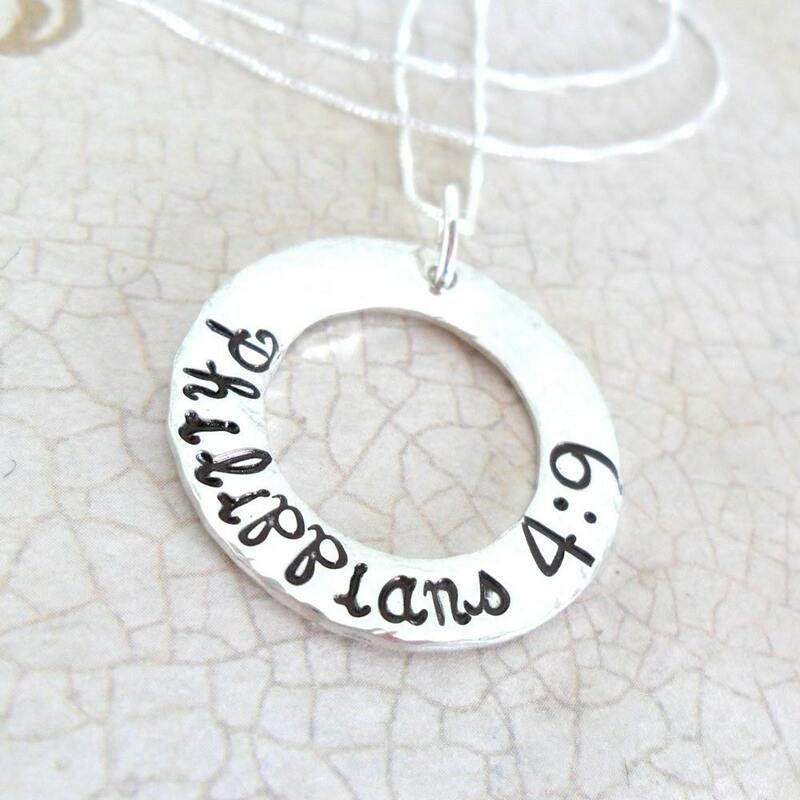 Please specify the biblical verse text as you would like it hand stamped, in the note space provided at purchase. Washer measures 1" in outer diameter; 5/8" inner diameter.